SWI Vintage creates vibrant, irresistible furniture that makes a statement. 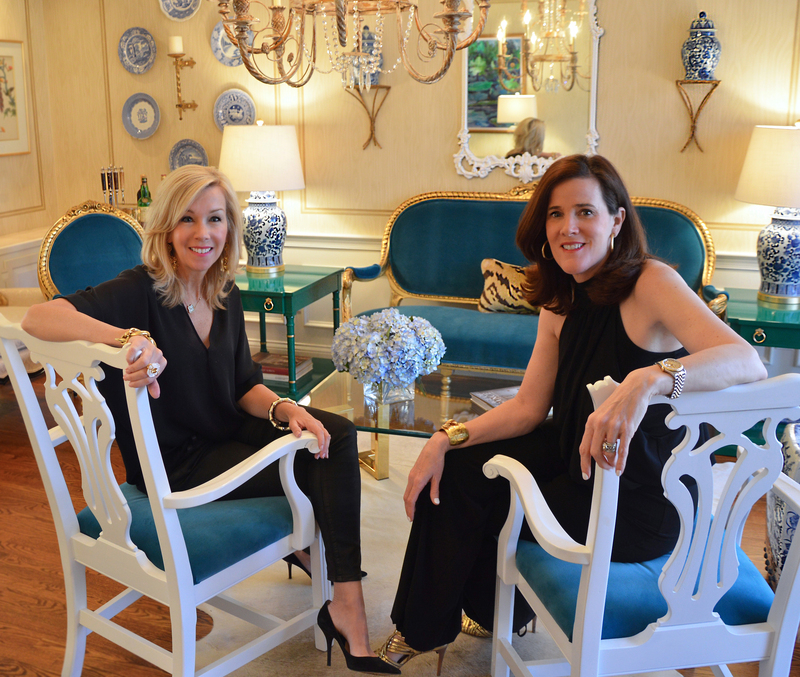 When I first met Anne Shanahan and Tenesa Wildermuth they told me about home decorating styles such as Chinoiserie Chic, Palm Beach and Hollywood Regency and I had no idea what they were talking about. The extent of my decorating skill is to look at a Pottery Barn catalogue and trying to replicate the look. What I do know is that SWI Vintage has really cool vintage furniture, and Anne and Tenesa know how to put it all together to update any room with a vibrant, chic style that makes a statement and expresses the homeowner’s individuality. Anne and Tenesa met several years ago in the Junior League of Cincinnati, and realized they had the same tastes, styles and love for decorating. They started their first company in 2003, a high-end interior design firm called Shanahan Wildermuth Interiors. One of their main challenges was sourcing the right furniture. Furniture manufactured prior to the early 80’s is of much better quality than it is today, and custom pieces take a very long time to make. They started buying up high quality vintage pieces from the 50’s, 60’s, 70’s and early 80’s and redesigning it by repainting, and applying new upholstery and hardware as needed to give it a new life. “We can look at a piece and instantly recognize the potential for a dramatic improvement,“ says Anne Shanahan, co founder of SWI Vintage. “Each piece tells us what it needs,” adds Shanahan. What started as a means to source quality furniture for their interior decorating service clients turned into a new business focused solely on buying and redesigning vintage furniture. They launched SWI Vintage in 2012 and have been selling through OneKingsLane.com ever since. They added the online channel Chairish.com in 2014. Several celebrities, such as Jessica Alba, Aerin Lauder and Rachel Zoe have selected SWI Vintage pieces in their tastemaker collections on One Kings Lane. Their secret sauce is their ability to know how to re-design each piece combined with the skilled artisans they hire to paint or upholster based on their direction. The results are one-of-a-kind, quality vintage pieces that are irresistible and timeless. “These pieces are an investment, because they are high quality and never go out of style,” says Tenesa Wildermuth, co-founder of SWI Vintage. I purchased a royal blue Bassett chest for my three-year-old son, because I thought this piece was a lot more interesting and fun then typical kids furniture, and he loves the color. When he outgrows it, I can put it to good use as an accent/storage piece somewhere else in my house. Their biggest challenge has been sourcing unique, high quality vintage pieces from designers such as: Baker, Drexel Heritage, Henredon, Karges, Ficks Reed, Bodart and Kindel. They travel the country several times a year to go “hunting”, which is also part of the fun, and they will be looking for unique vintage finds internationally as well. Another challenge as been finding local skilled artisans to do the painting and upholstery. This summer we are going to add e-commerce to their existing site www.swivintage.com, which JumpStart Consulting developed for them last year along with their SEO/social strategy, and brand positioning. Learn about the latest Spring decorating trends and vintage pieces that will inspire you on the SWI Vintage blog. The trends include: applying bold and vibrant color to furniture, mixing and matching it with sophisticated, edgy accessories, and using outdoor furniture inside. Mark your calendars for the exclusive SWI Vintage sale starting May 13 on their shop page on One Kings Lane. Anne and Tenesa are showcasing their Spring collection of unique, vintage Ficks Reed pieces they have acquired and redesigned with new paint, lacquer, and upholstery, along with original artwork and accessories to help you decorate your home with Palm Beach style.